UCLA is known for its high achieving students and fellow Bruin Alejandro Rioja is no exception. Originally from Bolivia, Rioja graduated from UCLA this June with a degree in Computer Science. If that wasn't impressive enough, Rioja, who came to the US with just a few hundred dollars, is a successful blogger and entrepreneur. Rioja started the company Flux Ventures, a digital marketing and SEO agency, an investment fund for startups and cryptocurrency, several other content creation websites such as the interviews site Future Sharks and other ecommerce store for women’s clothing called Maddie Jameson. He is involved with a MeRAM memory company called Inston out of the UCLA research labs. To top it off, Rioja is an investor in Everipedia and Snapwire, and a social media influencer under his alter ego Young Slacker. Above is a photo of one of Rioja's portable Flux Chargers. You may have already heard about Rioja when The Tab published a piece on Rioja and his partners in October of 2016. Since then, Rioja's company has encountered great success. 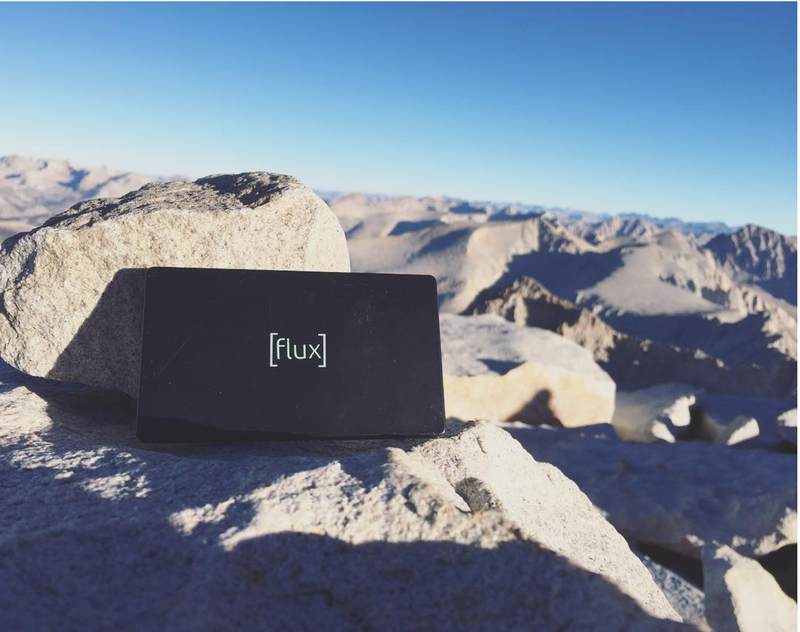 Flux Chargers, Rioja's portable chargers, have been sold in over 90 countries and has received a #1 worldwide rank by sites such as Yahoo Tech, Digital Trends, as well as great praise from Mashable, Engadget, and others. The brand now generates over $100k per month in sales. Rioja talking to Mike Jones, the CEO of Science, Inc. The Tab recently reached out to Rioja again to talk about his journey with Flux Ventures and how he managed to scale it to the global business that it is today while still being a full-time student at UCLA. I understand you came to UCLA to study Computer Science. Why did you choose UCLA? Were there any other schools you wanted to attend? I applied to many places in the East Coast and in California and I'm glad I got to attend UCLA. There's so many great things about UCLA (the LA weather, the people, BPlate, …) that naming just one is quite unfair. I chose UCLA out of gut feeling and also because its Computer Science department is strong, to my surprise it was much more than that. In the last four years, I got to meet some smart and unique people that made my college experience so much more fulfilling and special. From classmates that became long-term friends to the alumni and faculty that helped me push my projects forward, it was quite a ride. What has been your favorite thing about going to UCLA? BPlate. (I’m serious). Not just because of the amazing Moroccan salmon or soy-glazed tempeh but also because it has been the single most useful resource to meet new friends. During my freshman year I challenged myself to meet at least one new person each day — the dining halls made this challenge quite easy. In fact, that is how I met Miles Anthony, a friend of mine which later ended up becoming my co-founder for Flux. What has been your biggest challenge at UCLA? Eating more than 26 plates at BPlate — I gained 42 lbs as a freshman, up from 110 lbs. But on a more serious note, the amount of growth that has occurred in my life in the past 4 years wouldn’t have been possible if UCLA didn’t present me a new challenge every day. Besides the usual challenging Computer Science projects, there were many situations in which I was put out of my comfort zone: pitching in front of thousands, dancing for 26 hours, etc. These constant stretches of my comfort zone really allowed me to grow into a better entrepreneur and a more well-rounded person. How do you think UCLA has helped you in your journey to success? Flux Ventures was actually a part of the StartupUCLA accelerator in 2015. Although the accelerator was only a short 12 weeks, it helped us springboard our launch and get into the entrepreneurial mindset that we needed. However most of the value that we got out of it was after the accelerator was over and when we started showing some signs of progress. The folks at StartupUCLA, Blackstone Launchpad and the Alumni Center connected us with some key people that advised us and did business with us. Getting that early revenue in was essential to allow us to continue growing. How did you become an entrepreneur and what inspired you to do so? I always had business idols that I looked up to and tried to emulate such as Steve Jobs, Richard Branson, etc. I read their bios when I was 14-16 and was fascinated with what they had built. I knew right then that I wanted to follow their footsteps. From each of my idols I try to learn something different. For instance, I really like the keen sense of design of Steve Jobs, the investing principles of Warren Buffett, the drive of Serena Williams, and many more. I think learning from the pros is one of the best ways to shorten the path to success. Do you have any advice for incoming students (especially international students)? I have two pieces of advice: Keep an eye out for opportunities, and pick your friends carefully and consciously. I joined the Device Research Laboratory my first quarter as a freshman and worked hard as a unpaid “student researcher/coder” in the field of Spintronics. I kept at it for 4 years and saw that project become a real company during that time. Now I am an integral part of the company which is now called Inston which will closing a $10M series A round soon. Sometimes opportunities may come out of nowhere so it’s good to have an open mind ready to take on them. When you start joining clubs and orgs you will notice that you naturally tend to gravitate towards the people that are also a part of those groups. Don’t just hang out with them out of convenience, really think about whether those people are making you a better person and pushing you forward. We really are the average of the people that we spend the most time with, so try to evaluate your friendships and hang out with the people that you want to become. How do you balance your school work with your business? When I was an undergrad, it was very important to know time management. The 80/20 rule, which states that 80% of our results will come from 20% the efforts. I always keep a list of the tasks that will bring me the most results and update the rank every time I add or delete a task. The Eisenhover Decision Matrix, which classifies tasks by urgency and importance. This combined with the 80/20 rule allow me to make decision of which task to do next and keeps me on track towards my goals. What are your hopes for the future? How do you think your college experience has prepared you for that? Flux Ventures’ vision is to become a large corporation similar to Virgin (but bigger and better). I envision Flux becoming a household brand that people use in their day-to-day activities to enhance their lives. My dream is to have Flux Ventures create 100 companies in 100 industries. 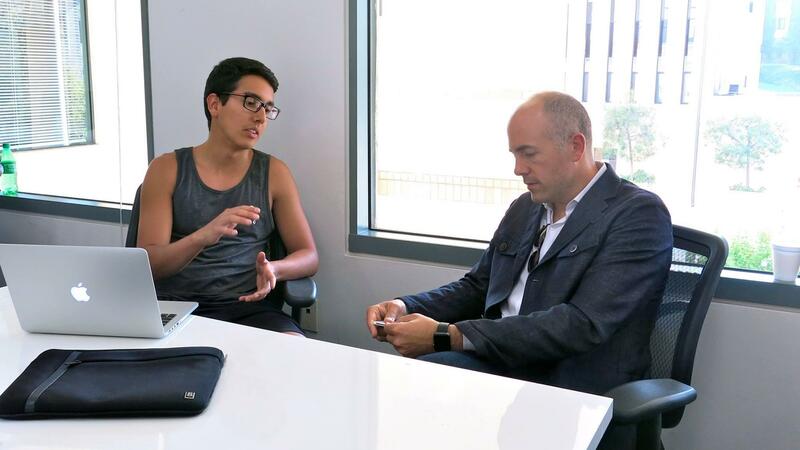 What advice would you give to any fellow Bruins that may want to start their own company? Throw yourself out there and start it today. The main difference between a real entrepreneur and one that aspires to be one is simply taking action. You may not have all the answers right now, but that's okay. I didn't when I started but just jumping in allowed be to figure them out as I went through it. The time will pass whether or not you take action and in the future you will regret to not have started earlier. Feel free to connect with me on Snapchat, Facebook and Linkedin.